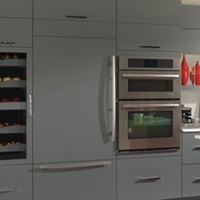 Tall cabinets top many other cabinet types in terms of both height and storage capacity, making them the true "high achievers" of cabinetry. 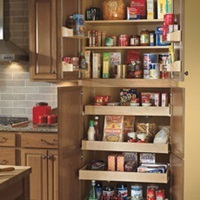 They are available in sizes up to 96 inches in height. 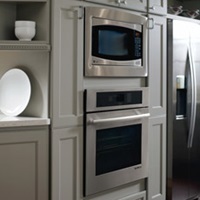 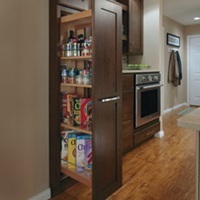 Tall cabinets are often used for pantry and utility storage, with the ability to accommodate large or unwieldy items, from bulk food supplies, to mops and brooms, to kids' jackets and boots.